Overlooking Castle Stalker, Loch Linnhe, Lismore and the mountains of Mull, our cafe has a beautiful panoramic outlook. Home-made lunches, home-baking and delicious espresso coffee is the order of the day. We make everything from scratch in our kitchen, making the work busy and varied. Our gift shop stocks a range of tasteful, different gifts from Harris tweed to Scottish books, childrens' clothing and jewellery. Open daily from 9:30am - 5pm, we are seasonal and can be very busy during peak times. There are no jobs with Castle Stalker View at the moment. Sign up to email alerts below to get notified when new jobs are added. 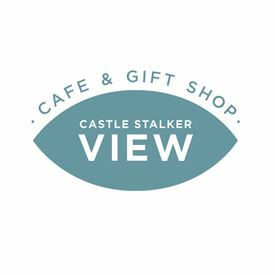 Get the latest jobs from Castle Stalker View sent direct to your inbox!